As designers, it is our job to tell a story and create a bespoke experience for the inhabitants of a space. Now more than ever, it is of utmost importance that designers help create special moments and experiences. Within this scope, flooring provides a foundation and can be either a canvas or a rock star. 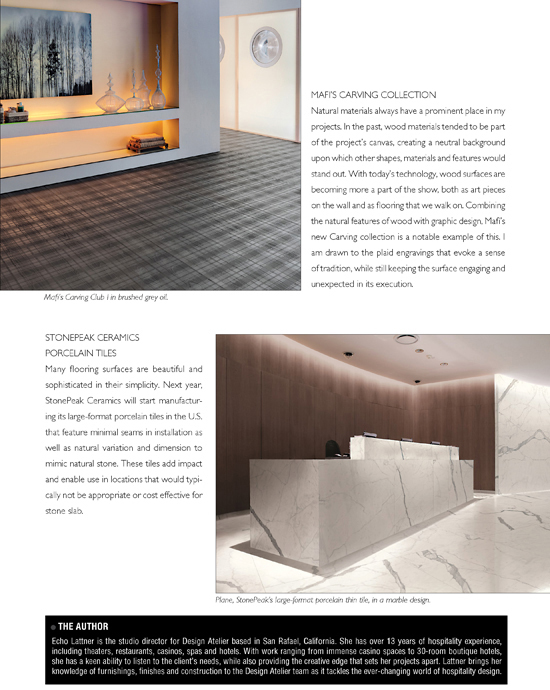 And with today’s technology and never-ending innovation in the flooring industry, we have a seemingly limitless palette to pick from when building these spaces and experiences. 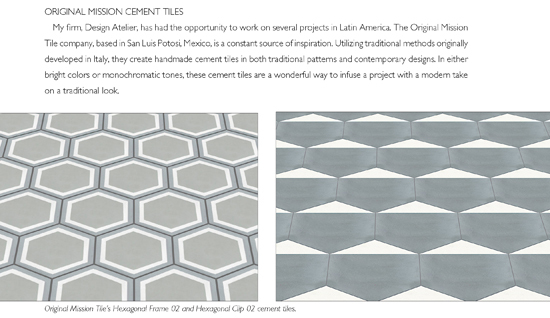 When sourcing materials for any project, I always consider the narrative of the project. Does the material reflect the location? Should it be a dominant character in that story or simply a support vehicle upon which other items can shine and tell the story? When it is time for the flooring to play its role, I love to think locally and traditionally.